Good morning, ladies and gentlemen! Iâ€™m Tennyson Ravelo, and Iâ€™m here to catch you up on whatâ€™s been going on with my family. – sheâ€™s the blonde one on the left. And those are her sisters (my aunties) â€“ Misty in the middle, and Kaela on the right. They all grew up in Rosebrook and went to college together, so theyâ€™re pretty close. â€œPeas in a pod,â€ my grandpa calls them. Anyway, Grandpaâ€™s old now. Donâ€™t tell him I said this, but I think heâ€™s kind of losing it. No, really! Sometimes he does weird things like talk to bricks. Whenever I ask him what heâ€™s doing, he gets real embarrassed and says, â€œoh, I was just reciting some Shakespeareâ€¦â€ Then he puts the brick away and goes to play â€œPiratesâ€ in the bathtub. My grandmaâ€™s old now, too. She used to be a professor at Academie La Tour, but now sheâ€™s a scientist. She basically knows everything. She looks pretty, though, so I donâ€™t think she minds too much. Grandpa doesnâ€™t seem to mind either. They do a lot of hugging and smoochy smoochy stuff. In front of guests. And yes, thatâ€™s my mom, loving up a sack of flour. Grandma said that my mom wanted a baby so badly that she carried a flour sack around for days. She named it Reginald. I guess you could say heâ€™s my big brother. Wait a second — does that make him the heir to the legacy? I sure hope not, becauseâ€¦uhâ€¦I kinda wanted to be that. Anyway, my mom was waiting for my dad to finish school so he could move in and marry her. He sent her lots of postcards from Outer Kankakingo where he was studying the life cycle of the pale-throated llama. When he finally graduated, Mom invited him to our house to meet Grandma and Grandpa. Eeeeeeeeeeeeeeeeeeeeeeeee*deepbreathinhale*eeEEEEEEEEEEEEEEEEEEEEeeeeeeeeee!! Ravelos! Back from the brink! So cool! :D And yes I want to know what’s happened with Misty and Kaela too. And what’re Tennyson’s and Melly’s personality stats? And what about their dad? The new mansion is indeed fabulous (and huge)! Lovin the Ravelos! and I will love to see pics of Melly! can’t wait^^ lol he wants to be heir! would be nice if he married Carmen. Hurray! Finally a Ravelo update! yikes – can’t believe it – thank you thank you thank you!!! that’s great Jen :) – my training for flight attendant will be over in a little less than a week, then I’ll have my two introductory-flights (to Bangkok – Thailand and Madras – India) and then I’m done, flying to India and to Japan and to the States (having NYC, Chicago and Denver on my schedules then). Yes, and the time between flights, I betya, I’ll buy me the UniEP and see how to start doing this Sims-thing all over :) – thanks once more for a Ravelo update, you’re the best! Awesome, more Ravelo updates! This is one of my favorite families off all time, they seem really chill and down to earth! It seems like Blondes really do have more fun?!?! Yay, Ravelos! So, glad to see they are still doing well; loved the update Jen! I love all your updates to death! You are so talented. I feel like I haven’t missed a beat even though we haven’t hear from them in so long. And I agree, that is a GORGEOUS house. Blah! I messed up on reregistering for SimScribes, Jen: I for some reason thought that I’d had things set up so that emails to ‘keiliyo@keiliyo.net’ would send things to my real email (i.e the one I’ve put in here) but that was me hallucinating. Would it be possible for you to set my registration on there correctly/delete my current registration so I can reregister? Thank you, and sorry for the trouble! Omg, I am so excited to read another Revalo update!!! I love them to death and this is one of my fav stories. I just LOVE this family! I love reading about Legacy families period, haha. Yay! Thank you so much. :D Oh, and I finally updated my blog with the first chapter of Harvey’s story. The blog layout is clumsy right now (the buttons don’t lead anywhere, for example) but I’ll find a sleek look asap. There’s 37 pictures! Awesome! A Ravelo update! I LOVE the house..inside and out. It’s gorgeous! And Trent better start liking the idea of getting married if he’s gonna be the heir! Oops, I meant to say “Tennyson” not “Trent” hehehe! And, as Tennyson noted (he has to write a novel in his lifetime, by the way. Too bad you can’t direct Sims to write poetry…) it is sporking huge. XD After he became a bear? Hee. …oh. Wait a minute. That was for the uglacy. Oh, he was kidding? Silly Tennyson. Is he a romance Sim or something? Not wanting to get married, and all. Speaking of which, do you plan on getting it? I know it’s off-topic, but I’m just curious. It’s about time another story of this family came out. That was a great update. I really like how you worked your way up to the boy’s current age. The pictures were b-e-a-utiful. I love that house, would you mind showing more pictures of it so I can see the whole thing? I think it would be so cool if you could add pets to the Ravelos! That would be so cute! Jen, that house is so cool! How come yours never look boxy? And Tennyson’s pretty cool, too! I love Tennyson! :D And like everyone else, I love that house too! Did you build it? Hey! its been a while since ive been to this site, I red the update Jen and didnt understand it (been so long) so I had to go back and reread all the Ravelos updates (whew!). So love the house its so beautiful and so are the pics, I still cant figure out how you do that pointy tower/roof you did it in ur royal kingdom challenge to, on the Dunnavent house, I am pleasently puzzled and I totaly agree with SimCity Story Critic you must…must show more pics of the inside of that house. Incredible!!! Kudos once again, Im out! Do you mean the pointy tower roofs like on the Ravelos’ new house, Abby? Those came with OFB! :D There’s also a dome shaped one and six-sided ones. Thanks Kay, (im dumb) didnt even realise that. Aww, you’re not dumb Abby! It’s easy to miss new building stuff like that. Jen, I’ve updated my site with the full first part of Harvey’s story. Thank you so much for leaving so many comments! :D Good response like that is what makes blogging and story making fun. Kay! you are so kind, thanks again, im out! Wow, it is great to read about the Ravelo’s again. Very nice pictures, nice story. I hope I’ll be reading more of you. I’m working on a new site with summaries of the the events in both my Prosperity and my Boomtown challenge neighborhoods. I have to dust off my real storytelling mode but I find it very inspiring already to have just one site where I share all the things I find interest in. Have I been under a rock???? How did I miss this for so long?? Ravelo’s! Wow! And I LOVE Tennyson telling the story, and I love his name, and Ravi is so handsome *swoon* The house is AWESOME, probably the coolest house I’ve seen since Shanley Manor, and I’m so excited about Ravi’s Llama farm. Really cool stuff. It was fun seeing everything retrospective – very useful storytelling device to cover a lot of time. Your sims are beautiful, your pictures are breathtaking and this is everything I love about Sim Writing. I even *almost* burned dinner to read this. It was absolutely worth it. Now if you’ll excuse me, I’m going to go back and read it again. But seriously, we miss youuuu! Write more? Anything! Everything! Thanks for all of the comments! It was really fun to play and write about the Ravelos again – I’m glad you guys enjoyed hearing about them. I have been working on an update focused on Misty, so expect that soon. I would be happy to make the Ravelo house available for download – I just have to change a few things. I have windows and wallpapers in it that I can’t redistribute. (such the nice wide windows in the towers, which are Windkeeper’s from The Sim Resource.) But I can try to match with Maxis stuff and then upload it for you guys. Does that sound OK? Oh – and I will definitely be buying Pets – I can’t wait for the Ravelos to have a cat and/or dog! That’ll be shweet. Also probably getting The Glamour Life. I am a sucker for anything Maxis puts out. They so own me. How about you guys? I will definitly be getting pets I have been waiting for that certain expansion pack. I dont no bout glamour life, I mean it looks cool but I think I will refrain from buying it, Im out! I’m definitely getting both Glamour Life and Pets. :D I love the stuff packs in general, but this one looks like it will have some *really* sweet looking stuff. Especially the new mirrors and fancy silk pjs and nightgowns! A Maxis-only version of the house sounds excellent to me, Jen! The only custom build stuff I have right now I’ve either made myself or was Maxis made and either transported in from Sims 1 or ‘hidden’ in Sims 2 and extracted by one or another crafty player. I tried putting it up on my site, too, but I can’t figure out how to make it publically downloadable and all that. So this is easier for now. Ohmygosh, Kay! That is SO COOL! Hahahaheehee. Simon Ravelo would have been honored to have inspired such an outfit. Especially one so cool and hep. I love it!!! (And that’s not Harvey as the model, is it??) Man, that just totally made my day. Heehee! Yaaaaay! =D I’m so glad you like it! I’m the most pleased with the skirt, I just couldn’t get the front of the shirt to look good. I like the back of it, tho. Naw, it’s just a random Sim model I made to go with it, I had fun pretending she’s an obses– uh, *dedicated* Ravelos fangirl named Vera ‘Ravelia’ Jones. XD But Harvey’s definitely going to invest in some Ravelos merchandise! Haha, that would be really cool if you could get someone from the Ravelos family to wear it, lol. You don’t know me. I’ve been lurking and reading your blog for over a year now and I very much enjoy your stories! 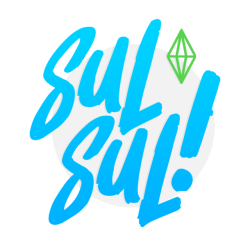 I enjoy them so much that I was inspired to start my own Sims 2 blog. I hope to read more about the Ravelos and your ISBI challenge! Thank you for your wonderful stories! It’s nice to see the Ravelos again, they’re such a fun and quirky bunch.